The number of women leading the financial services sector in India is on a decline. If Chanda Kochhar leaves ICICI Bank permanently, the sector would lose its third high-profile female bank CEO in just months. 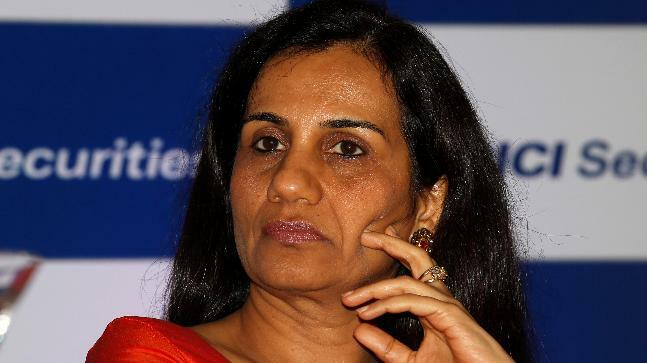 On Monday, ICICI bank said that CEO Chanda Kochhar would be on leave till the conclusion of an internal probe into her alleged conflict of interest and violation of lenders’ code of giving a loan of Rs 3,250 crore to Videocon group in 2012. Whatever the outcome, it looks increasingly unlikely Kochhar, who has led the bank since 2009, will have her term renewed when it ends early next year. Her exit would follow Shikha Sharma who in December will step down after ten years atop Axis Bank. She had recently had her term extended to 2021, but local newspaper reports said the central bank had asked the board to reconsider this. Both banks have struggled with bad loans and shareholder returns have underperformed peers. At the other end of the spectrum, Arundhati Bhattacharya retired as chief of State Bank of India last year after four solid years at the helm of the country’s largest lender. Performance aside, its a blow for diversity. There were only 24 women CEOs in the S&P BSE 500 index, according to a study published in June by Institutional Investor Advisory Services (IiAS). The presence of Bhattacharya, Kochhar, and Sharma, along with female heads of the unlisted local operations of Morgan Stanley and Standard Chartered, made gender diversity look like less of a problem in financial services. However, top bankers were overwhelmingly male, too, even before the exodus. At the board level, there is 13 percent female representation as of March 2017 in the NIFTY 500, another important index, but a big improvement only came after regulators required listed companies to have at least one women director. Although the rules are unlikely to tighten further anytime soon, a report backed by IiAS says companies should target 20 percent by 2020. Changing the broader dynamic looks tough. While New Delhi increased paid maternity leave last year from 12 to 26 weeks, that is not much help in a country where barely one-quarter of women are in the workforce, down from 35 percent in 1990. In the meantime, females who aspire to one day occupy the corner office will have fewer role models to emulate.